What Did You Splurged On – That Nobody Seems To Understand? Which is a steal because it was originally $299! The Princess thinks i paid way too much for it. 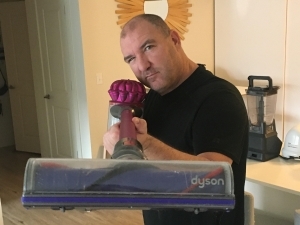 She says it’s a glorified dustbuster. But it’s one greatest purchases I’ve ever made – my whole entire life! Did I pay too much for this vacuum cleaner? Maybe…but I LOVE this thing. I don’t mind vacuuming with it. And it looks like blaster from a sci-fi movie! What have you splurged on – that nobody else seems to understand?